Dare-Devil Foodies: This One Is For You. Restaurants are always looking for the next best way to enjoy a meal. From dining in the dark to eating sushi off another person, having a memorable meal is no longer measured by what’s on the plate. 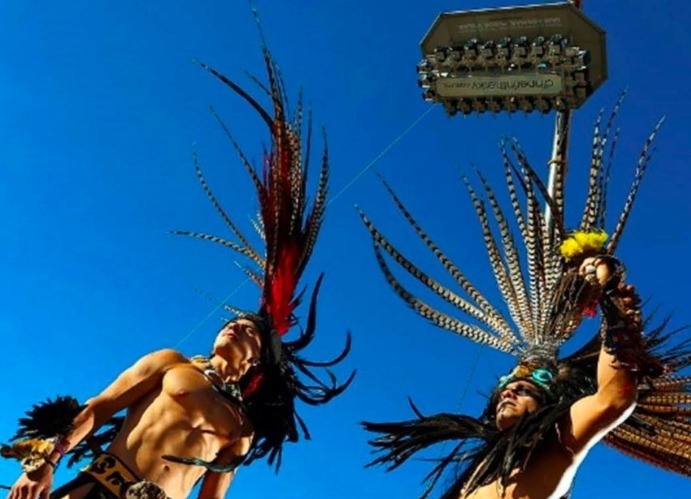 For the ultimate foodies (and daredevils at heart) Dinner in the Sky takes you 147 feet above Teotihuacan in Mexico. 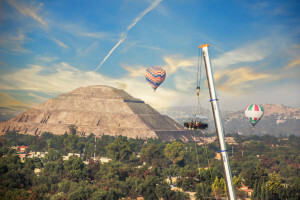 What To Expect With Dinner In The Sky, Teotihuacan? Before you picture a high rise restaurant with a view, think again because this dining experience is more like a floating table in the clouds. 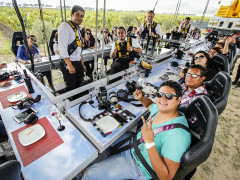 Twenty-two diners are strapped in and gently lifted high into the sky on a platform that includes the table, wait staff and restrooms for a dinner unlike any other on earth. Let’s hope that adrenaline fuels an appetite because if you have a fear of heights then chances are you’ll have a heck of a time holding your fork steady. As you eat amongst the clouds with a view of the pyramids below, you’ll savor classic Mexican fare with available vegetarian options. Unlike most tourist attractions that often sacrifice cuisine in the name of novelty experiences, the menu of Dinner in the Sky changes seasonally and is whipped up by world class chefs.